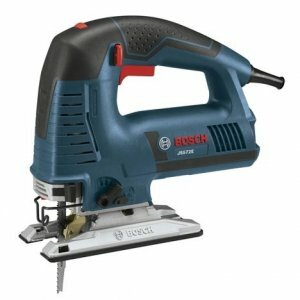 Bosch has always been a class leader in jigsaws and they are the brand that many professionals turn to first, so when they announce new jigsaws, everyone takes notice. 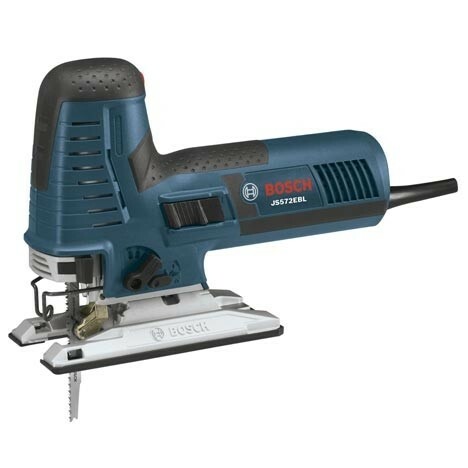 At their recent media event, Bosch debuted their new JS572E Top-Handle Jig Saw and JS572EB Barrel-Grip Jig Saw, and Bosch did not leave anything out. The first feature we all notice when looking at this saw is the new LED lighting system. As you can see in the video below, the LED's provide a shadowless view of the front of the blade. Just in case you are cutting something reflective you have the option of turning off the lights, but I suspect this LED feature will be well used by everyone. When we dig into the internal specs of the tool we see that Bosch upgraded the blade guide to a double-roller setup that they call Precision Control II. In addition to the typical roller guide placement, this system has an additional upper roller guide that further reduces blade deflection by preventing the bottom roller from being used as an unwanted pivot point. The JS572E upper roller as has an auto-centering feature that self adjusts to help keep the blade within the rollers. As much as we all love tools, we hate having to use tools on our tools. 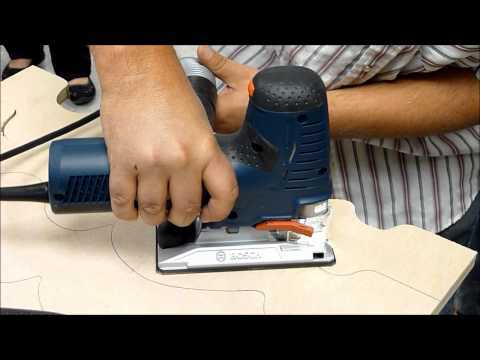 Bosch knows this and has made their new jigsaws completely tool-less. Both JS572E saws feature a tool-less blade change system, a tool-less blade ejection lever, and a die-cast magnesium footplate that can be easily set to bevel in either direction, and again no tools are needed. The JS572E Jigsaws have a 7.2 amp rating that should offer the power you need for just about anything. Users can select their desired speed via a variable speed dial found on both models, while the top-handle saw also features a variable speed trigger. Bosch Constant Response circuitry is designed to maintain your speed selection even while under load. Other features include a counterbalancing mechanism that reduces tool vibration, and a dust collection system that you can see working very well in the video. 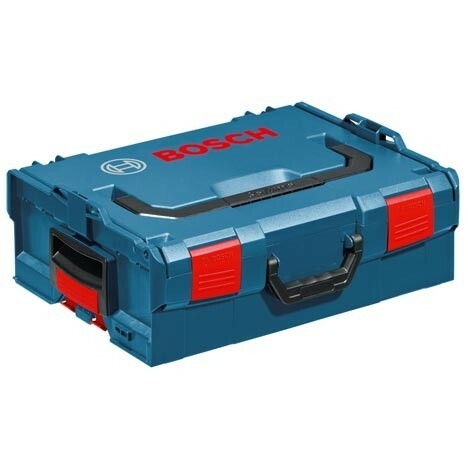 The JS572EL and JS572EBL kits each retail for about $299 and include an L-Boxx case as well as dust collection kits and steel footplate overshoes.